The Subsite® TK RECON Repeater is a performance-boosting addition to our proven TK RECON Series HDD Guidance System. The TK RECON Repeater reliably creates better lines of sight and substantially extends the telemetry range of your tracker. The user-friendly Repeater features simple, single-button operation, more than 50 hours of continuous run time, and a convenient freestanding, portable design. 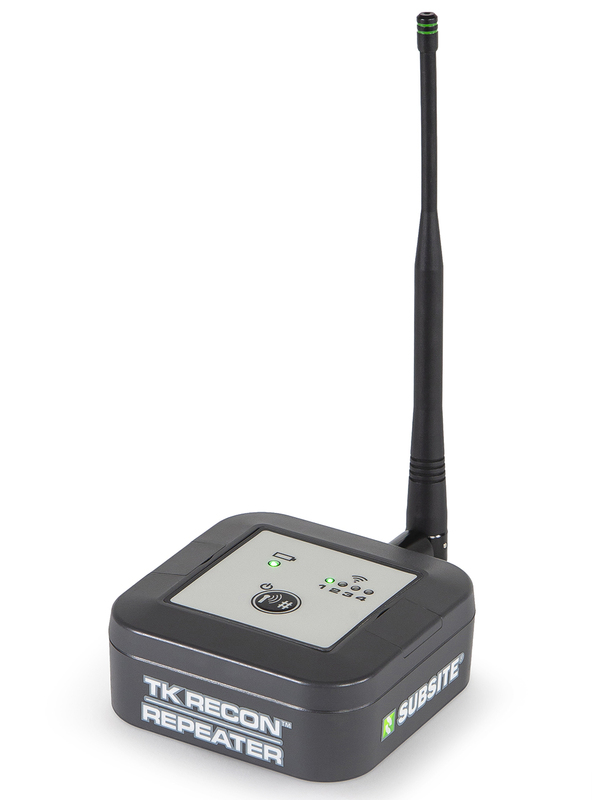 Extends the telemetry range of your TK RECON and overcomes line-of-sight issues. Portable, freestanding design simplifies in-field use. Mounts to any ¼-20 accessory. Rechargeable internal lithium-ion (Li-ion) battery provides 25 hours of use after a single hour of charging. A full 4-hour charge provides more than 50 hours of continuous use. Works with external battery pack for extended operation time or use when internal battery needs charged. Reflective logos and markings provide easy product visibility—even at a distance. Durable design is IP65-rated for reliable jobsite performance, even in inclement weather. 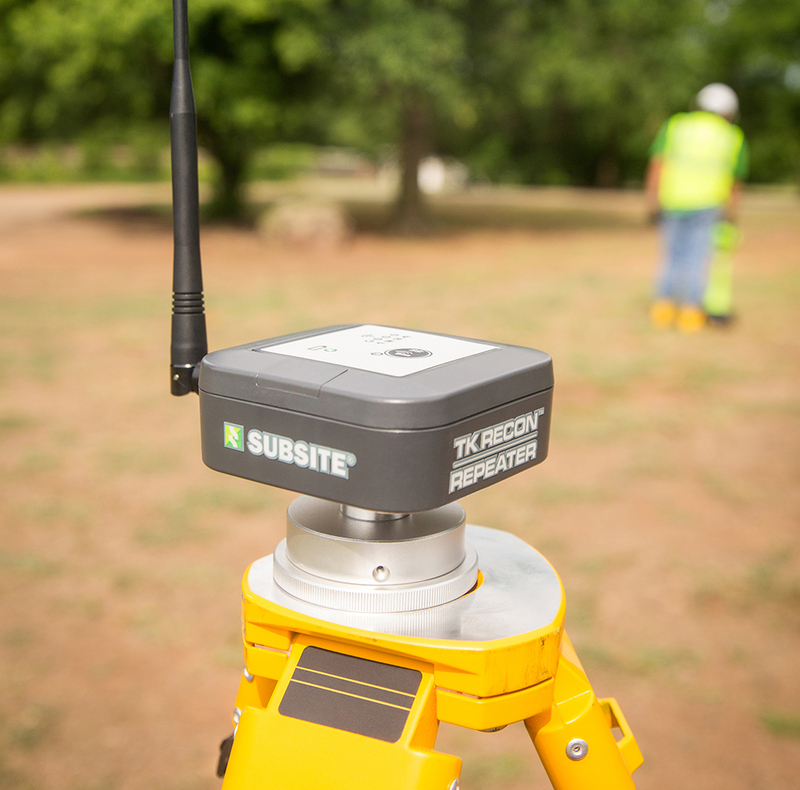 User-friendly, single-button interface simplifies both initial training and jobsite operation. Bright, LED display viewable in direct sunlight. Strong signal improves communication distance when line of sight is an issue.